Pat Roberts win: Republican Senator hangs on in Kansas. 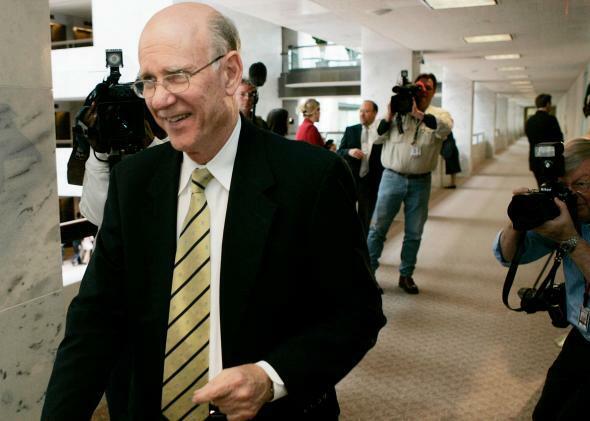 U.S. Sen. Pat Roberts is still going to be U.S. Sen. Pat Roberts. Democrats cleared the path for Orman to pick off Roberts in the unlikely battleground after their candidate dropped out of the race. Still, Roberts repeatedly attacked Orman as a potential vote for the Democrats in the Senate, even though Orman said he would back a Senate majority leader from either party. Vice President Biden didn’t help Orman’s independent street cred by suggesting he would caucus with Democrats if elected, during a radio interview on Tuesday.